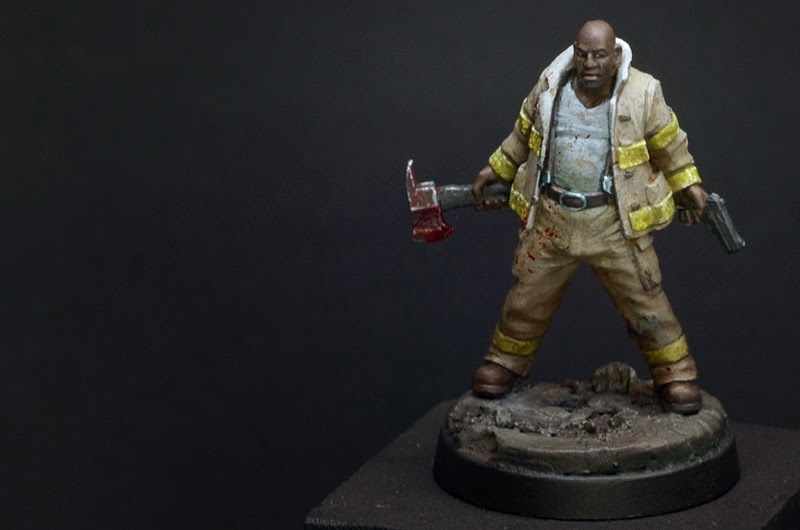 another finished miniature from my table: Levon, by Hasslefree. 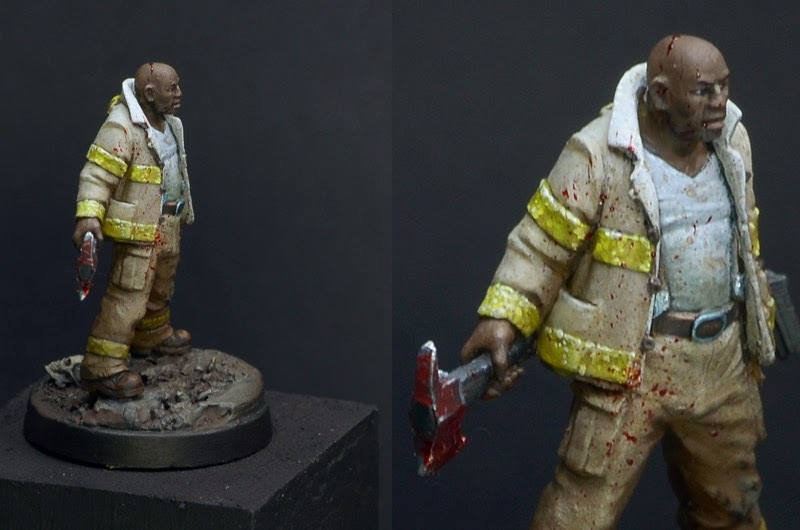 A really cool model that I painted up as a survivor of the initial days of the Zombie-Apocalypse, still wearing his uniform and now fighting for survival. Lots of fun to paint as always with Hasslefree characters. Another thing I've picked up from here. Hasselfree figures are awesome. So much character. 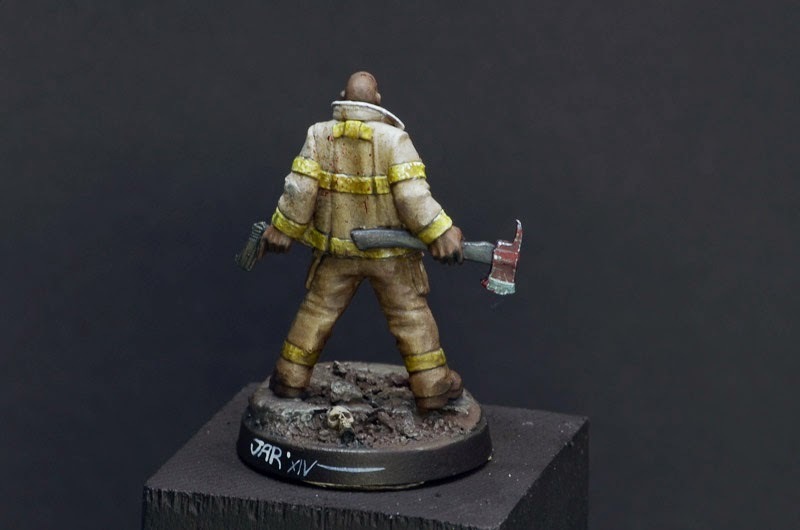 If I ever get Zombicide I'm definitely going to garnish it with some stuff from there. Indeed they are. I so much love their characters. 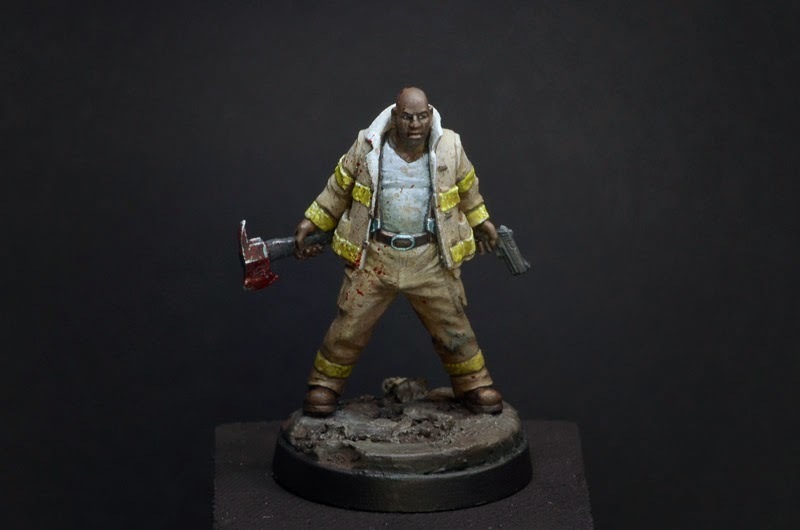 And that is what I too thought while painting this guy: Zombicide.